Syllabus of the Program - Introduction to Transport in Africa. 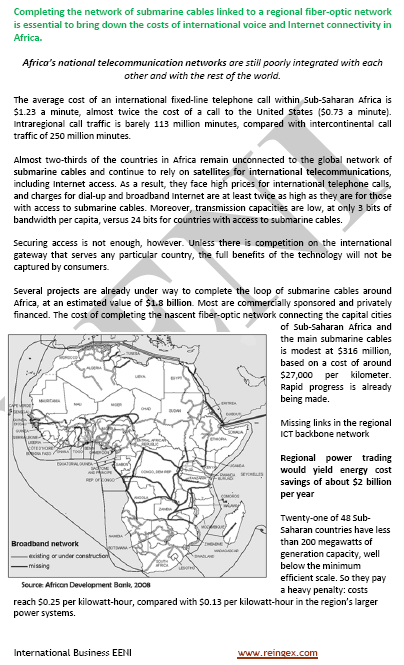 Syllabus of the Program - Infrastructures in Africa. 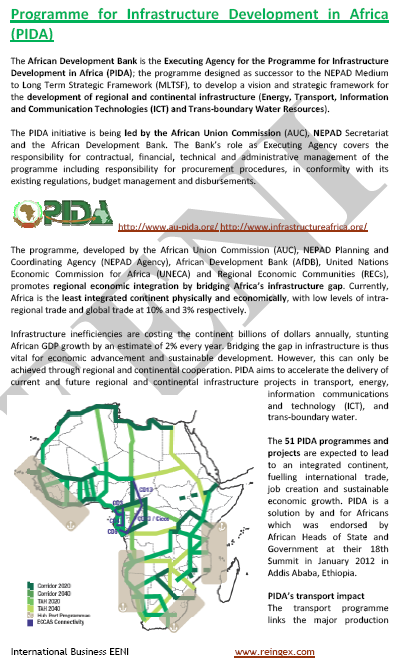 Syllabus of the Program - Programme for Infrastructure Development in Africa (PIDA). Syllabus of the Program - Maritime Transport in Africa. Durban Resolution on Maritime Safety, Maritime Security and Protection of the Marine Environment in Africa. Port of Walvis Bay (Namibia). Egypt: Port-Said and Port of Alexandria. Autonomous Port of Pointe Noire (the Republic of the Congo). 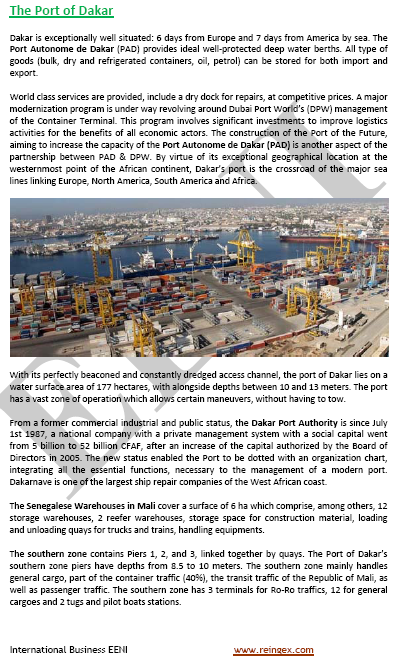 Ports of Algiers and Oran (Algeria). 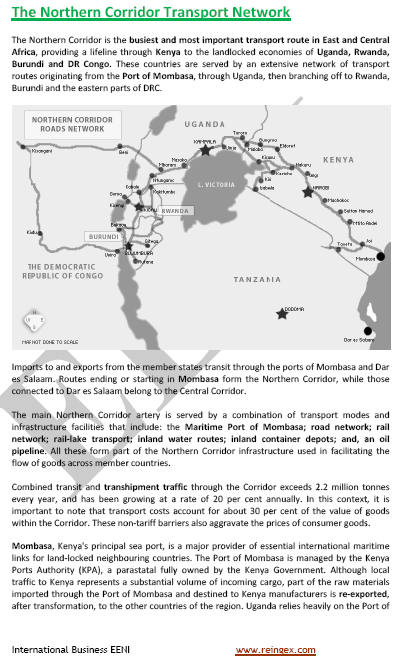 Syllabus of the Program - African Transport Corridors. 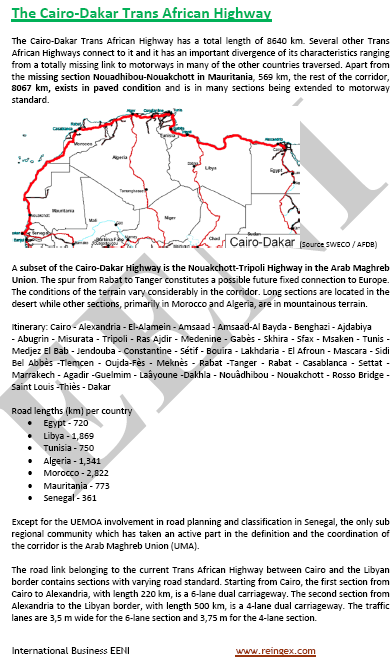 Syllabus of the Program - Road Infrastructure Costs in Africa. 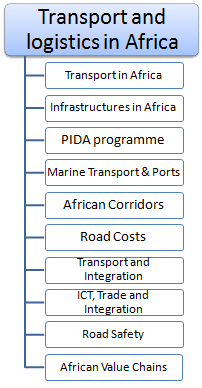 Syllabus of the Program - African Transport and Regional Integration. Syllabus of the Program - Information and communication technologies (ICT), Trade and African regional integration. Syllabus of the Program - African Road Safety Action Plan 2011-2020. Syllabus of the Program - African Value Chains. How can the African companies take advantage of the value chains? 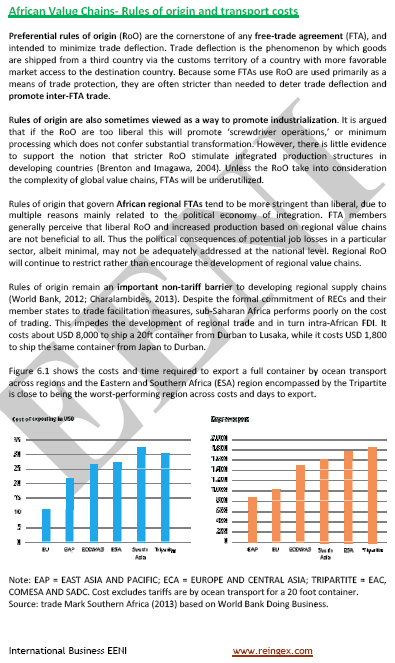 Global value chains: Africa, the global factory?